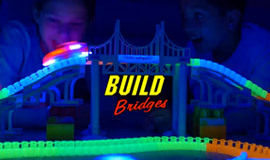 Magic Tracks | Limited Time Offer! 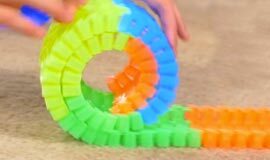 The Amazing Racetrack That Can Bend, Flex & Glow! Order Now! Bend it, Curve it to the Max! 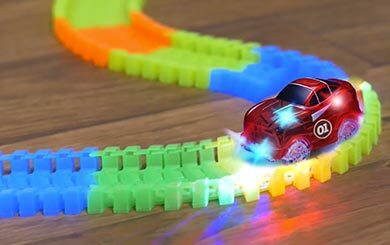 Magic Tracks™ are the totally new cool race tracks that bend and glow like you’ve never seen before. 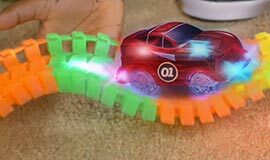 You can bend, flex, and curve the track magically in 360˚ however you want – even while the race car is zooming around. 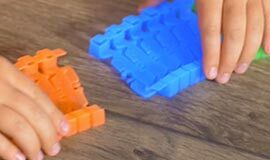 Just snap the pieces together and you get a fully customized speedway of your own creation. 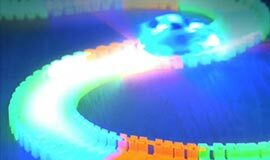 And even better, when you turn off the light, Magic Tracks™ glows super bright! Just pay separate $6.95 USD fee for the BONUS Magic Tracks™! 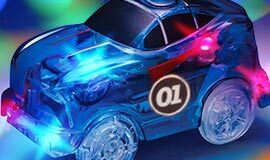 By ordering today, you'll receive 1 set of Magic Tracks™ for just $29.99 USD (complete with 220 Track Pieces, the Translucent LED Racecar, Decals for Total Customization and Fun Track Guide). Plus, we'll DOUBLE the offer and include a second BONUS set - just pay a separate $6.95 USD fee. Your entire order will include FREE SHIPPING! Sales tax will be applied to all orders. All pricing is USD. No tariffs or duties. Must be 18 Years or Older to Order! ©2019 Magic Tracks™ All Rights Reserved.